James and Matsui take a break from the smooth jazz syndrome. In a culture inundated with movies that go unseen, books that go unread and music that goes unheard, it’s easy for worthy art to slip through the cracks. 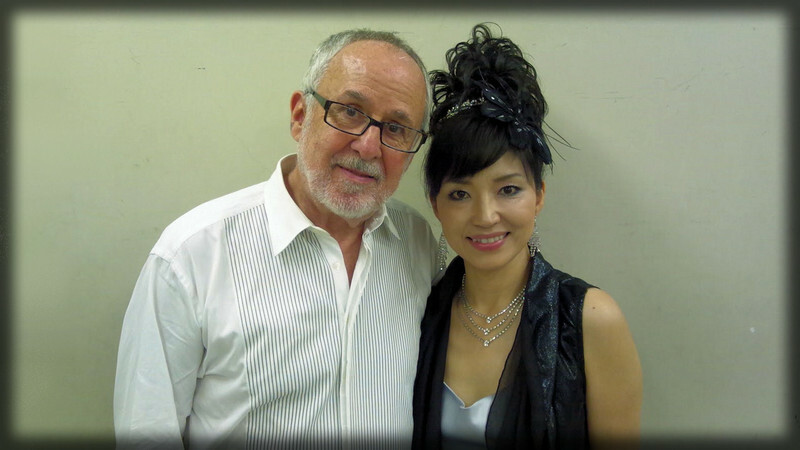 That was the sad and undeserved fate of the 2011 Bob James and Keiko Matsui four-hand piano collaboration, Altair & Vega. Solo recordings are a standard for jazz pianists, and James’ and Matsui’s training and love of classical music are familiar to their fans, but two musicians playing one piano at the same time is something a little bit different. Altair and Vega are two stars that pass each other once a year, but it took 11 years for James and Matsui to link up and fully realize what began with “Ever After,” their first collaboration with piano for four hands on Matsui’s Whisper From the Mirror (Narada, 2000). A year later, Matsui joined James for two tracks on his underrated Dancing On the Water (Warner Brothers, 2001). After a decade, the two mainstays of smooth jazz reunited for a record highly unlikely to receive much airplay by any smooth jazz radio station. The interplay between the two is joyful and at times dazzling. James’ “Divertimento,” with its apt subtitle, not only allows “The Professor and the Student” to show off their considerable chops, it’s playful fun. Things get a bit more serious on Matsui’s “Frozen Lake,” and the grandiose “The Forever Variations” is stately without being stiff or overly solemn. James and Matsui are not trying to set the music world on its ear as much as they are just coming together to jam. To the extent this is a jazz record, the playing is never less than impressive, as the pianists’ pairing inspires them to greater heights than those they occasionally settle for. Whether Altair & Vega qualifies as light classical music or granola-free New Age is a subjective judgment. What is beyond question is how much effort has to go into the four-hands/one piano approach. This is harder than it looks folks, and one need go no further than the companion DVD for proof—a live concert filmed at Manchester Craftsmen’s Guild in Pittsburgh last year. On his own or with Fourplay, James has been a staple on the radio, if not the “best of” critics list. Likewise for Matsui whose style blends jazz, classical and New Age and whose playing is tasteful and cerebral while remaining completely accessible. Neither pianist needs to prove anything to anybody, and freed from any commercial considerations this collaboration is relaxed and casual. Nothing terribly dramatic happens, but James and Matsui clearly are having fun. So why didn’t Altair & Vega hit? Perhaps it not being remotely smooth jazz confused the pianists’ usual audience. Perhaps the surnames of James and Matsui didn’t catch the interest of more traditional audiences who associate the duo with smooth jazz. Either way, it’s not too late for both audiences to tune into this terrific collaboration.